Since its international début in 1991, the University of Texas Wind Ensemble has built a reputation for innovative programming. Here they perform three highly virtuosic and expressive works conceived to give the listener a surround sound experience in the concert hall, recreated on this recording in stunning 5.1. 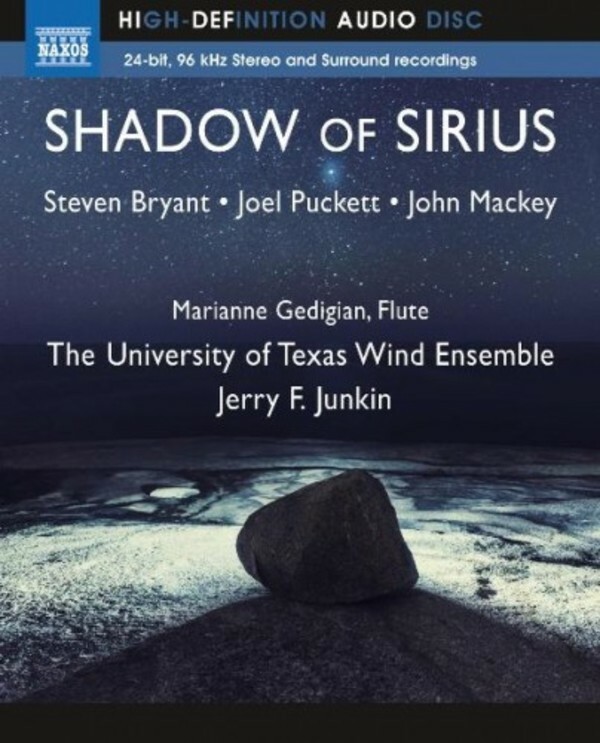 Steven Bryant’s Concerto for Wind Ensemble places three groups of players around the audience, while Joel Puckett’s Shadow of Sirius envelops the audience with a spatial arrangement of flautists. In the second movement of John Mackey’s Kingfishers Catch Fire, antiphonal trumpets are staged behind the audience to conjure up this magnificent bird flying triumphantly into the sunlight.